Okay guys, long hair isn’t just for the ladies anymore. 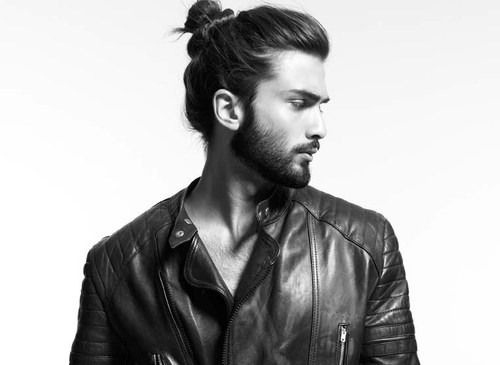 There’s nothing sexier than a man with long luxurious locks that a woman can run her fingers through, and we’ve all seen the popular man-bun explode on the scene. Grow out your hair, take good care of it, and maintain your look, so that you don’t appear to have been raised by a pack of wolves. Taking care of your mane will keep it healthy, manageable, and looking amazing. After you have decided to grow out your hair, you should wait quite a long time before getting a trim. Most men won’t be used to this, since it’s common for them to cut their hair once every couple of weeks. Don’t disrupt the process by cutting your hair constantly, but wait at least 10 to 12 weeks. Hair generally grows between half an inch to an inch per month. Once you reach about 12 weeks, you’ll be able to get an idea about how your hair performs at a longer length than you’re used to. You should really only wash your hair once a week, unless your hair gets dirtier than the average guy due to work or sports. Shampooing your hair makes it lighter and silkier, which makes it more difficult to control. It’s best to wash your long hair at night before sleeping so your natural oils can replenish themselves before morning. Surely it’s no surprise that your diet affects every part of your body, even your hair, skin, and nails. The most important nutrient for your hair is a vitamin B complex known as Biotin. Foods like avocados, salmon, nuts, and oysters are all rich with Biotin, making your hair grow fast and strong. Staying well hydrated is also extremely important to a health head of hair, so drink plenty of water. Rumor has it that water’s got lots of other health benefits as well! As your hair grows longer, it actually becomes more delicate so it’s important to use products that aren’t damaging to your locks. Opt for a creamy, sulfate-free shampoo and avoid product that have lots of alcohol in them. Maintain your dreamy mane by conditioning it well, and pay attention to your ends which are prone to breakage and splitting. Ask your hairstylist to recommend high quality products that will keep your hair looking gorgeous. Even women who grow out their hair have to endure a stage at which the length is just a little bit awkward. Dealing with this stage is also a part of learning how to grow your hair long. Men have to go through this process too. Check in with your stylist once every 4 to 6 weeks to trim it just a little bit to keep you from donning a-business-in-the-front and party-in-the-back-mullet. So many men don’t use any conditioner in their hair when it’s short, so they often don’t consider it when they’re growing it out. Conditioner will keep your hair looking and feeling great. All you need is to care your hair with several drops of conditioner at least three times a week. Conditioner moisturizes your hair, preventing it from drying out and breaking. If you’re looking for how to grow your hair long, men and women must learn to detangle properly. While washing your hair, use your fingers to gently detangle your knots. It’s much easier with conditioner in your hair in the shower than trying to unknot dry hair which can be terribly painful. Knotted hair is totally normal and you have to get used to it! While you’re waiting for your luscious mane to reach your ideal length, try out some hair accessories with some new styles. Men look great when they’re rocking a headband, a sweatband, or a bandana. You may invest in a packet of hair ties as well so you can start rocking the man bun as soon as you can gather all your locks! This also comes in handy while working out, or while exposed to windy conditions. One of the most exciting things about a new hair length is being able to try fun products. It’s also a good way to get through that awkward phase of growing your hair out long. Try gel, mousse, hairspray, wax, anything that strikes your fancy! Get creative and find what works for you and your look. It will help you manage your new style with ease. Since longer hair is more fragile and more prone to breakage, tears and stretching, it’s a good idea to invest in a quality hair brush. Look for something that has nylon or boar bristles, as these are the most hair friendly, and will be much less damaging than a cheap and flimsy plastic brush. Hot oil treatments help care for your scalp. Your scalp is at the core of your long healthy hair, so you better treat it well. There are a few kinds of oils you can use, like argan oil, coconut oil, or olive oil. Just heat it up so it’s hot but still bearable to touch, massage it well onto your scalp for about five minutes, and then leave it in for a half hour. Rinse with warm water. Apple cider vinegar is one of those common household products that does it all. For hair, it helps to make it grow quicker. All you have to do is mix one part water with three parts apple cider vinegar in a spray bottle and apply after shampooing. After a minute or two, rinse it out. Soon, you’ll start noticing a change in how quickly your hair grows. Another fascinating recipe for stimulating hair growth is an egg white and aloe hair mask. Just mix the two together and apply it directly to your hair. Rinse it out with cool water after twenty minutes and allow your locks to air dry. Your hair will look healthy and shiny as a result. 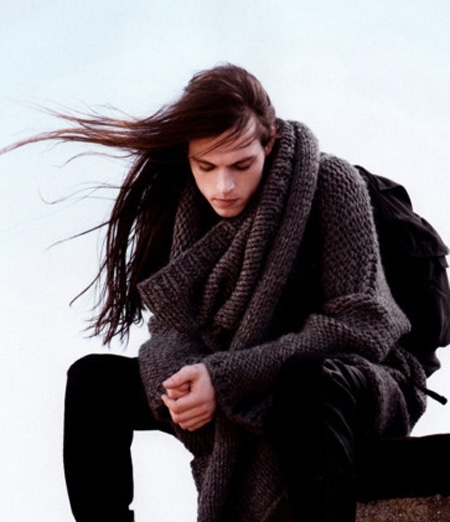 How to grow your hair long? Men should give onion a shot. As strange as it may sound, onions do wonders on hair. Make an onion broth by boiling a cut onion in water for 15 minutes, and then let it cool. Once it’s cool, just massage it into your scalp and cover your hair with the onion broth. Rinse it well with cool water and let your hair air dry. The smell won’t stick if you rinse it really well. This may be considered a rather uncomfortable tip, but it’s useful nonetheless. You should always wash your hair with cold water, since it keeps the hair shaft tight and closed up. Hot water can cause damage as it opens up the hair shaft which will make it more likely to rip or break. Cold water will trap moisture and keep your hair super shiny.